What is a Kanban System? The Kanban system is based on the first-in, first-out (FIFO) principle. Two bins are set up with nursing supplies, one in front of the other. Products are taken from the front bin. Once the last item pulled from the front bin, it’s placed on the top shelf of the cart. The second bin is moved forward, and supplies are pulled from this bin. To replenish the supplies, the material handler comes in and scans each of the bins on the top shelf to indicate the items that need to be re-stocked. The count is 100% accurate every time and requires only a few seconds per empty bin. When the material handler delivers the exact amount needed to replenish the bin, he simply places the full bin behind the front bin; thus, guaranteeing first-in, first-out and virtually eliminating the chances of having expired items. 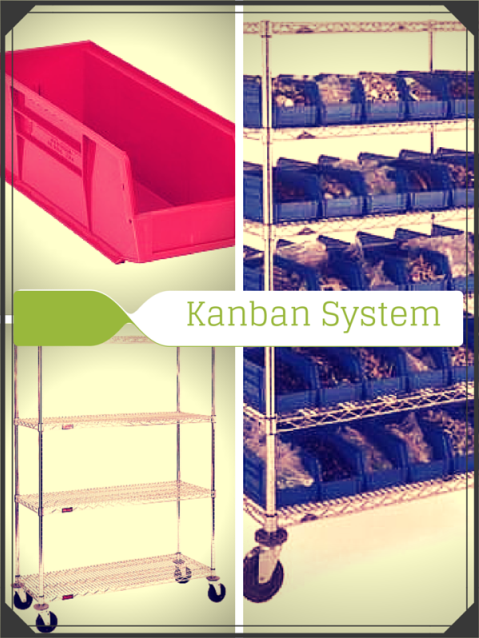 To get started with a Kanban system, you need two essential storage items: plastic bins and wire shelving carts. 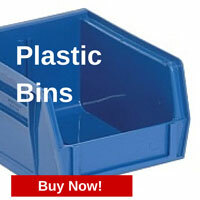 The plastic bins are really the heart of Kanban because the two-bin system is what makes everything work so well. Taking it one step further, you can make use of colored plastic bins to increase efficiencies in finding nursing supplies. How is this done? It’s done with color recognition. With just one glance, nurses will be able to direct their focus at the product they need. Cleanliness: The wire makes it easy to keep clean, which translates to less risk of damage to your nursing supplies. Material Options: With options including chrome and zinc and medium or heavy duty, you can choose the right finish and strength for your storage needs. Cost-Effective: Wire shelving carts are generally less expensive than traditional shelving, making it a sound investment for transitioning to Kanban. 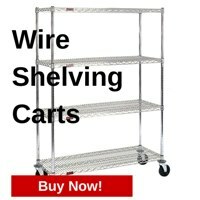 Portability: The wire shelving carts are on wheels so they can be rolled around to any area of your hospital, making it easy to move supplies. If you are ready to get started with a Kanban system for your medical facility’s nursing supplies, you can find both plastic bins and wire shelving carts online from StoreMoreStore. If you have any questions or need any help, please give us a call at 1-855-786-7667. And you can also check out other storage systems we have for the healthcare market here.